Click the button below to add the Office Star High Intensity 24 Hour Chair  to your wish list. The Office Star High Intensity 24 Hour Chair offers multiple ergonomic adjustments for all-day comfort. The Office Star 5466 includes a number of features, including an overstuffed padded seat and backrest cushions, built-in lumbar support and an adjustable height. 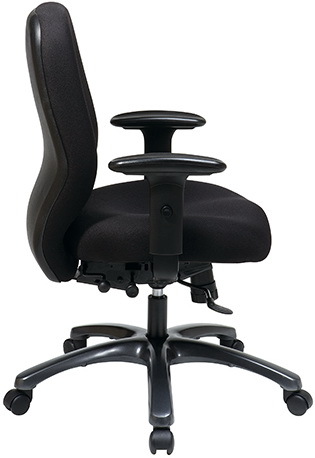 The high intensity office chair has a 300-pound capacity and is rated for multi-shift use. Office Star high-intensity task chairs have a heavy-duty titanium finish metal base and dual wheel carpet casters for easy movement. The chair comes backed by a limited lifetime warranty from Office Star. Shipping is free to the 48 contiguous states.